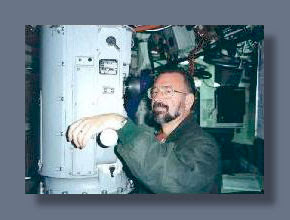 The Writer's Chatroom presents military author Joe Buff. The Writer's Chatroom presents romance author Sherrill Bodine. Originally I was born and raised in a variety of communities in California and Nevada (USA), moved to a rural farm in BC (Canada), lived in upper BC for a few years and then was on my own in a small city by the age of 13. I lived in three or four different communities before settling down in Kelowna where I met Dave. Dave was born and raised in the Okanagan region of BC (famous for its vineries and lakes), and we lived there for about 11 years before moving to a smaller city of only 6,000 or so residents. Here we have stayed for about 10 years. Well… I work full time as a writer. Do I WRITE full-time? – No. (she laughs). It is a common misconception that being a writer involves writing. Far from it. First we must discover the idea, scope out the readership for that topic, hunt down magazines or publishers who are looking for written work in those genres… query them, and all the interaction in setting things up with them. Then you research and write the topic, edit, proofread and submit for rewrites… which you then do. And after all this is done – the real work begins! Especially in the case of books. For authors/poets we have to continually market the book – actively seek out publicity every day for the life of the contract that we have with that book. So what I mean by this is, if we have a contract for 7 years with a publisher for the first edition of the book… we need a marketing plan that will last 7 years. If we decide to take that book further with revised or new editions, we will have to take that into account as well. For freelancers, as each job is confirmed we begin looking for the next job – why? Because when a project is completed and submitted the author doesn’t actually receive payment for it until it is published – which can be 3-9 months after the editor receives the completed article. Therefore you must have exceptional office skills and the self-discipline to have up-to-date records and take the time for follow-up activities. If you have a non-writing job, would you tell us a little bit about it? I don’t have a job beyond promoting our work and writing – however, Dave does. His income is what keeps the household going through the slow sales periods that every writer is familiar with. The place that he works at does a very interesting thing with old mine slag – they make insulation out of it. Apparently this is an incredibly safe insulation that is being used in submarines and marine boats as well as average everyday building construction or pipe insulation. It is not a job he loves doing; it is hard work that involves long hours and shift work – but it is necessary to make things run smooth at home. What made you decide to tackle the genre(s) you write in? After having survived an abusive childhood, being on my own at just over 13-years old, having put myself through school and taken some college courses – I eventually ended up running my own business for about 6 years before a really bad car accident put me in physiotherapy full-time for over a year. I had chronic depression then; I felt like my whole life all the work all the pain all the recovery was for nothing because all I had worked for was so easily swept away. I also became very aware of my own mortality, which is not something one usually considers when they are in their mid-twenties. So with the life-altering injuries that would plague me from then on (mostly headaches and muscle spasms) I had to look at a new career… a new life. And this time – I wanted it to mean something. And so it has. Please tell us about Trash Talk - An Inspirational Guide to Saving Time and Money through Better Waste and Resource Management. Trash Talk began as a column that was published internationally every two weeks from 1999 to 2004, and then intermittently until early 2009. The book, by the same name, was released in 2004 in paperback format and the publisher did a special limited hardcover edition in 2009. We hope to see that happen again! In the meantime the paperback book continues to receive sales from all over the planet. We decided to release this book as a new e-book series (2-books) with totally updated, revised information and many new chapters – we also have a huge resource section for the closing of the e-books for people to network or access more information. The release for the e-book series is expected to be January 2010. Initially, the idea began when I saw two things happening around me. Let me share a story of walking down the street to see someone’s garbage bags that had been put out long before the pick-up time and because of this were torn overnight by wildlife or pets in the neighborhood… and there mixed in with the waste were returnable bottles and cans, recyclables by the pound, and most of the waste I was seeing there was compostable… all of which could be diverted from the landfill so easily. Of course this is a single scenario to show that there is a lack of participation… but here is another. One day, one of my wealthy clients (from my previous business) said to me she wouldn’t dare be seen taking in returnable containers for a deposit, she would be afraid as well to purchase Halloween costumes at a used shop in case someone she is associated with would see her… I saw this is false pride. Ironically, this same person (and yes, this is a real person) insisted that her blue box recycling bin was placed where all the neighbors could see that she was actively participating – because THAT was “in” or “cool”. So by these two examples I just shared, the thing I wanted to convey the most was that I was seeing a real need for people to view waste differently. There were several reasons why we decided to write the book, which I think are best summed up by the following excerpt from the Introduction section of the e-book series: “When society is constantly bombarded with negative information about the environment, finances and natural resources, individuals begin to feel powerless, and they might even fall into apathy. Certainly, especially these days with the widening gap between the rich and poor, we are seeing that a declining number of us can afford to donate cash or time to a cause. However, we can choose to step away from feeling overwhelmed by the immense environmental problems our world faces and realize that each and every one of us can do something to help our world - starting right where we are, right now. Yes, the writing process was immensely enjoyable – this is a subject I knew well and had many connections in the waste management industry and so there was rarely a time when I searched for content or struggled for resources. 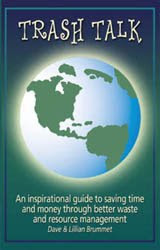 The Internet played a huge role in this book, as it does in most aspects of any writer’s life, but proved especially useful in finding environmental groups, networking with people who reuse their “waste” prior to recycling, people who are interested in gardening issues or water conservation, etc. The hardest part without a doubt for this, the first book that Dave and I wrote, was the hardly-durable waiting periods and the seemingly never-ending research that had to be done. The marketing is by far the longest, hardest chore of all – since an author must do some form of marketing every single day, it can be draining at times. Did you learn anything from writing this book? If so, what was it? Trash Talk’s publication was a new experience for us, since we were freelance writers in the past, and so we learned every step along the way. Sometimes we felt incredibly overwhelmed by all that had to be done, and we had to do it ourselves since we did not have the budget to hire help. Ok – Conscious Discussions Talk Radio (www.brummet.ca/conscious.html) began back in 2007 on the Blogtalk Radio Station – which is now the #1 online talk radio station in the world. Conscious Discussions has now grown to air several times a week – on Tuesday and Thursdays I interview interesting individuals from around the globe who have found a way to make a positive difference. Every other Sunday offers Positive Eco-news Segments and in the growing season (April-September) I also offer a special episode called Sunday Gardening, where I talk about sustainable, organic gardening using bio-intensive, inter-cropping methods and open-pollinated crops. Listeners may hear me speaking about pollination issues one day and then tune in to hear me discuss growing a particular plant variety or giving composting advice the next time. It varies with each show. Thank you for your time in answering my questions. Look for Part II of this interview on February 10. The Writer's Chatroom presents Katrina Kenison Lewers. Barry Andrews gets more than he bargains for when he takes a short afternoon hike to check out some Pueblo Indian petroglyphs. Sometimes you can just feel change in the air, but you accept it and continue with your day. Then there are times, always in hindsight, where you realize you should have heeded nature’s warnings. Barry is lucky to be alive, sure, but can he survive the changes that start happening after the storm? Using descriptive and well-crafted prose, the author brings the reader back in time with an engaging look into the history of the Pueblo Indians. With touches of paranormal and the overall sense that this could actually happen, the reader is left without a choice but to turn the page and continue reading. The story contains elements of horror, romance, and mystery. The title is literal, but also a metaphoric theme woven through each character. Struck is a engaging and suspenseful. I highly recommend it for anyone who enjoys suspense with a dab of dark. Stop by Keith’s website to learn more about the author and his books. 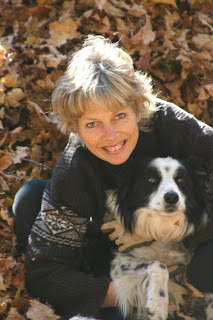 Please welcome author Stephanie Connolly to Reviews and Interviews! Originally I’m from Surrey, England. I now live in a quiet little village on the Northamptonshire/Bedfordshire borders. When it comes to reading I have always been a fan of fiction and fantasy. I enjoy the feeling of escapism when I pick up a good book. Yet I find I write not to escape reality but to embrace it. To make sense of it. For me my work is a form of therapy and for others I hope it is a form of comfort. Please tell us about your current release, Give a Girl the Right Pair of Shoes and She Can Conquer the World. Give a girl the right pair of shoes... is a book of personal memoirs, documenting some of my toughest conquests to date. It deals with issues such as the tragedy of losing my baby boy, dealing with depression and anxiety and surviving a pretty brutal assault. I try to shed light, humour and happiness on even the darkest of situations in order to inspire and encourage others who might be able to relate. I’m brutally honest about my experiences of pregnancy, parenting, labour and love and the book is also peppered with articles on an array of topics too, from romance to money . . . And all that is inbetween. What inspired you to write and publish this book? Initially, I kept journals and blogs documenting my day-to-day experiences and situations until I was approached and asked if I might consider consolidating the entries into a book of memoirs. The opportunity was an absolute thrill for me and I loved every minute of it! Because the book is so personal, I found editing and re-reading some of the most tragic situations, emotionally exhausting at times. Yet on the other hand creating and sharing this book enabled me to truly channel some of my own negative experiences into something so positive, so it was all worthwhile in the end. I have learnt that we all have a story to share. That there is indeed light and happiness to be found in even the darkest corners of the world. And that if you really want to achieve something all you need to do is put your mind to it. In short, given the right pair of shoes a girl really can conquer the world! I imagine I shall read it all back in a few years time, as I do with all my work, and will find myself wishing I’d chosen this word over that, or removed a chapter here and there. Yet for now I am happy and satisfied with the final result. I am currently working on my first ever book aimed at men. Generally I believe women make up the majority of my readership, so to truly challenge myself I intend on writing a ‘tongue in cheek’ guide to being a 21st century gentleman. Wish me luck! Word of mouth has been by far my most successful method of promoting my book. I find the Promotion and Marketing industries pretty tough to crack, though am very grateful for the excuse to spend hours upon hours on every social networking website going! I’m ashamed to state that I haven’t read for fun in such a long time! I love contemporary womens fiction and find myself extremely excited when I discover new authors whose work I admire. As one of my New Years resolutions however I have decided to broaden my bookshelf and add a few new genres to my reading lists. So will be on the lookout for some fab books in 2010! I love music, love to sing, love to dance! I’m highly sociable and greatly enjoy spending time with my family and friends. I like to cook, attempt to grow my own herbs and vegetables and love running with a nothing but a fully-loaded ipod to keep me company! My writing tends to be described as ‘chatty.’ But I think comedy is my ‘thing ’ though I’m far funnier on paper than I am in real life! What didn’t I want to do?! I've wanted to be . . . A jockey (I grew too tall.) A supermodel (I didn’t grow tall enough.) a vet (if only I weren’t afraid of blood.) My mind changed on a pretty regular basis! Thank you for your time in answering my questions. It's been a pleasure getting to know a bit about you. Good luck with the new book. 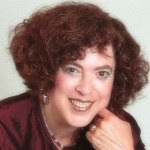 The Writer's Chatroom presents Dr. Barbara Becker Holstein. Get away for a few hours and delve between the virtual sandy pages for a seacoast vacation. The cover attracted me to this book first: an image of beach chair on a sandy beach in front of the surf. It reminded me of my summers at a beach house in Maine. The title caught my attention next. Beach. Chair. Diaries. All one needs to totally get away (in my opinion) is a soft-sanded beach, a comfortable chair (or blanket), and a book. And the icing on the cake is the book itself. The writing is conversational and runs the gamut on emotions. I laughed out loud in places and got lost in my own thoughts after reading passages that brought me back to my favorite beach. There’s a bit of an ache now, for knowing how many summers I haven’t been to the beach. But there’s a renewed sense of awe and appreciation for how rejuvenating and memorable a day at the beach can be. The author had fun writing this book, it’s apparent in how she shares her passion for the beach. She wants to bring the beach to the reader, and I think she has done just that. Janet Spurr is the quintessential Beach Queen and has surfed, boogie boarded, snorkeled, kayaked, sailboat raced against the Kennedys, motor boated, white water rafted the Kennebec River, and swum in seven of the top ten beaches in the U.S. She has lived on Nantucket Island and currently lives in a seashore community. Beach Chair Diaries is a great, fun read any time of year. If you’ve loved being on the beach and haven’t been in a while, this will bring you back to the surf. If you’ve never been to a beach, you’ll want to plan a trip after reading this book. Stop by the Beach Chair Diaries website to bask in the sounds of the ocean shore and learn more about the book and author. This is a fantastic read for anyone.